We are snowbound today. It rarely snows here in Portland but when it does, the city essentially shuts down for a few days. We just don’t have the infrastructure to deal with clearing the streets. So when we do get snow, it’s a good time to settle in, bake some cookies and binge watch a lot of television. We bundled ourselves up with hats, gloves, and scarves to take the dog out for a walk. That lasted exactly 3.5 minutes before we turned back and ran inside. The wind was blowing like crazy and the snow felt like little bullets hitting my face, not a fan at all. It’s beautiful to look at but I am more a admire from afar kind of snow lover. I’ve been experimenting with a non-dairy cheese that we could grate onto a pizza. So far I’ve had some success but the texture just isn’t quite right yet. On Thanksgiving, I made pepperoni pizza pockets for my son and he declared them one of the top three things I’ve ever made. The taste of the cashew cheese is great but the texture still needs some work. I’m hoping that I can share it with you soon. When I’m not gorging myself on homemade pizza pockets I find myself craving something a little lighter, healthier, but full of flavor. 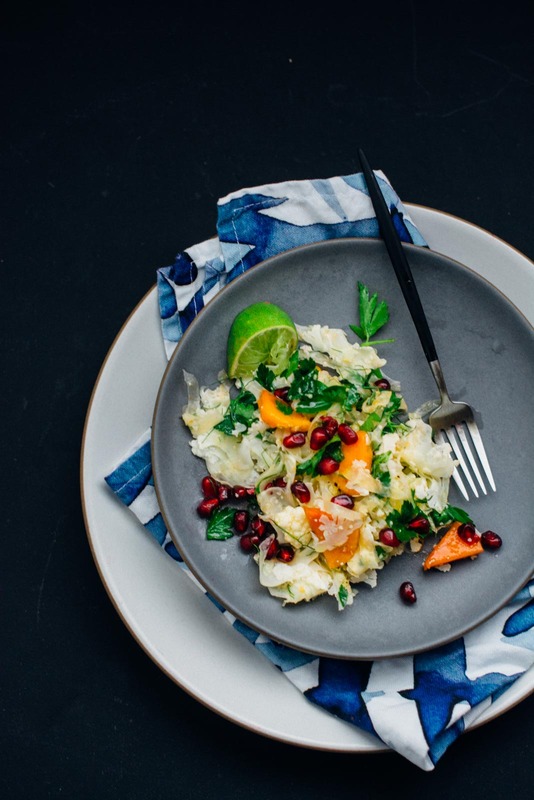 This winter white cauliflower and fennel salad is just the thing to get me back on track. 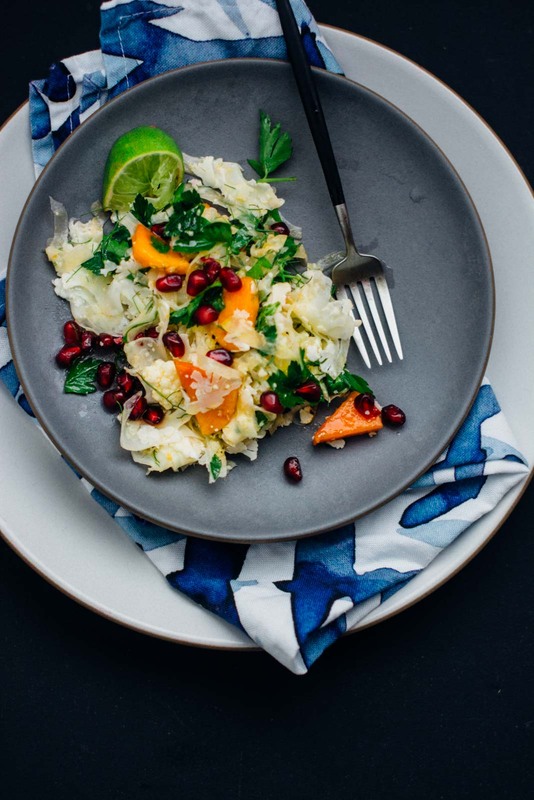 The key to a raw cauliflower salad is the slice the cauliflower as thinly as possible. 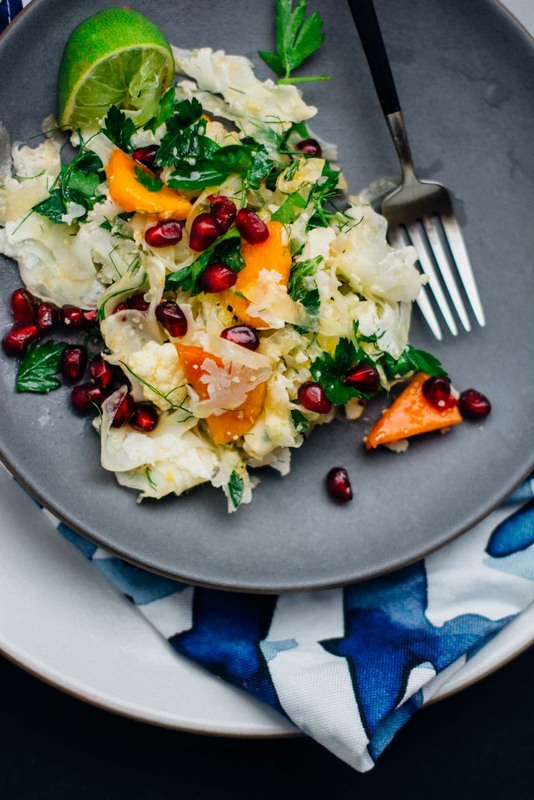 If you don’t have a mandoline, you could grate the cauliflower with a fine grater or blitz it in a food processor. I love my mandoline, it’s my most frequently used item in the kitchen, inexpensive and easy to clean. If you don’t have one, I highly recommend investing in one, just watch your fingers. This salad can also be made ahead of time and will keep its texture. I would suggest adding the fruit when you serve it though for the best result. 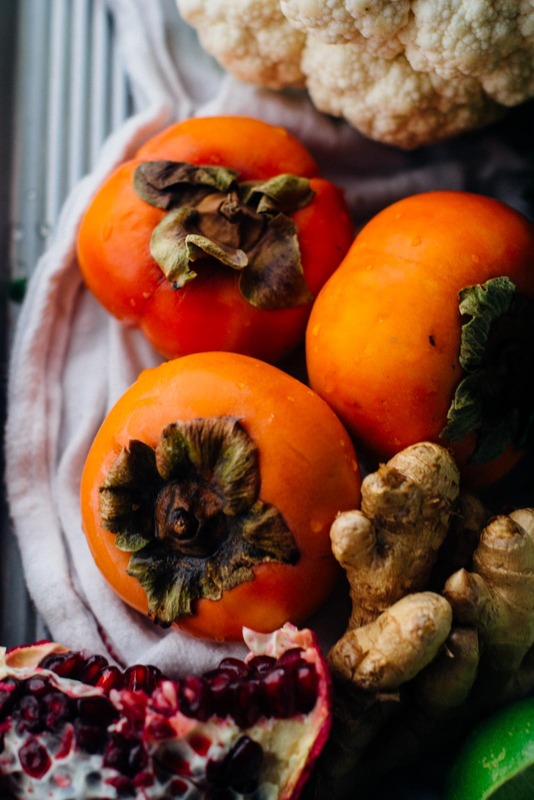 If you can’t find persimmons, pears would be a good substitution. 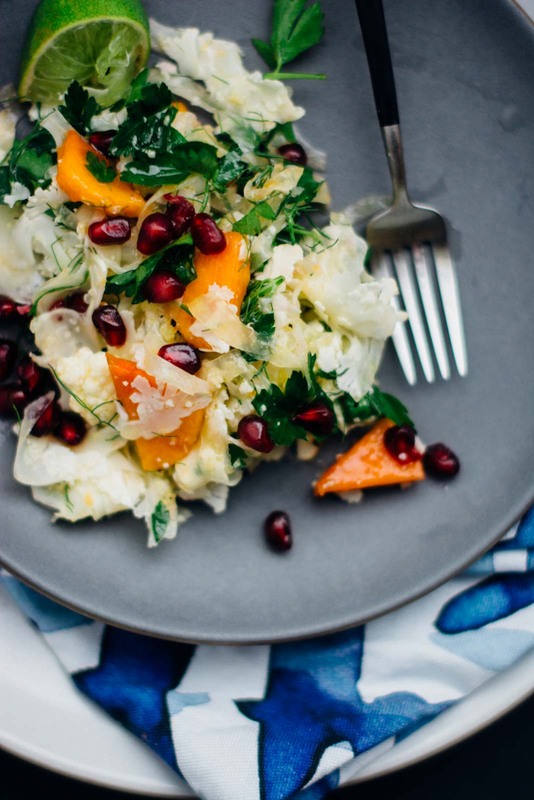 This salad makes the most of the produce that’s currently in season, sweet persimmons, tart pomegranates and crunchy cauliflower. The dressing is simple and you most likely have all the ingredients on hand. 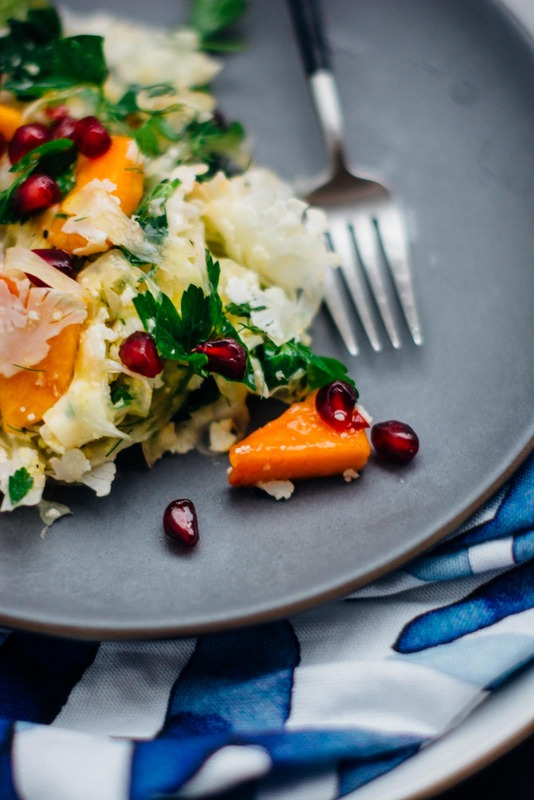 If you make this winter white cauliflower and fennel salad, I’d love to hear what you think. Leave a comment, rate it, and don’t forget to tag a picture #scalingback on Instagram so I can see what you came up with! 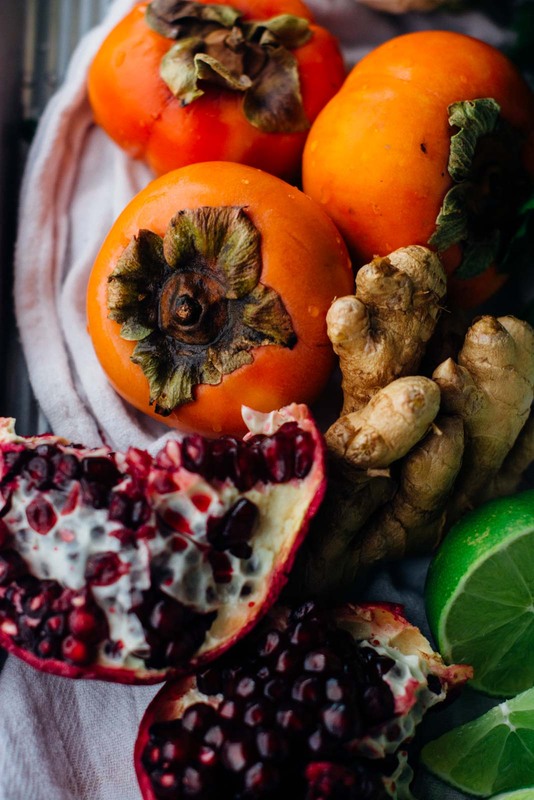 Combine the lime juice, rice vinegar, honey and ginger in a small bowl and whisk to combine. Slowly drizzle the olive oil into the dressing, taste and season with salt and pepper to taste. 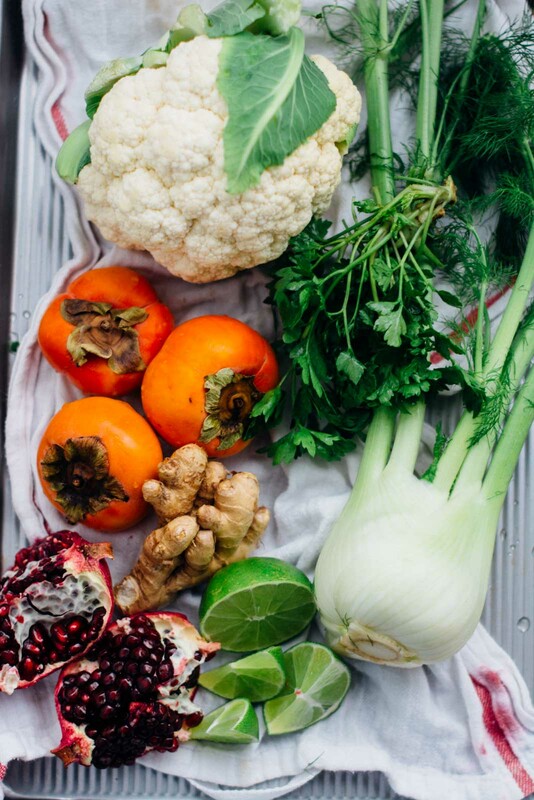 In a large bowl combine the cauliflower, fennel, persimmons and parsley. Drizzle with half the vinaigrette and toss gently to combine. 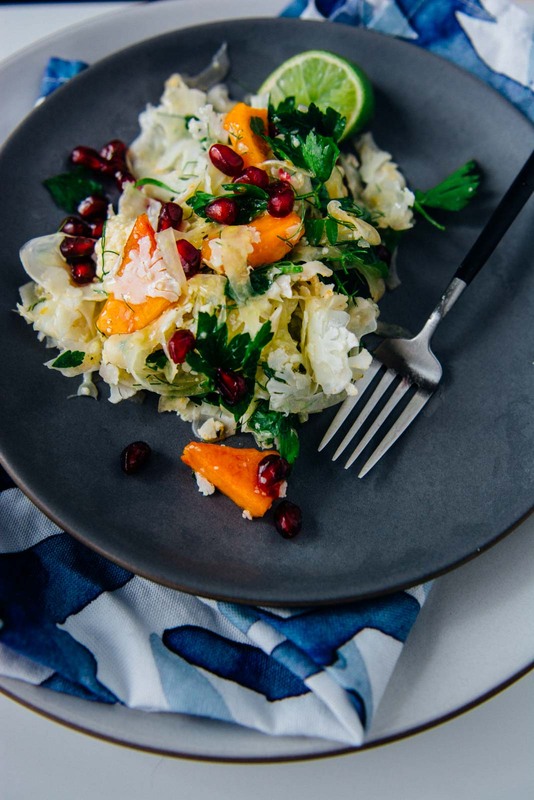 Divide the salad between four plates and garnish with the pomegranate seeds and reserved fennel fronds. Serve with the additional dressing on the side.